I have somewhere heard or read that the preface before a book, like the portico before a house, should be contrived so as to catch, but not detain, the attention of those who desire admission to the family within, or leave to look over the collection of pictures made by one whose opportunities of obtaining them we know to have been not unfrequent. Never excuse; if your play be a bad one, keep at least the excuses to yourself. The erudition of Mr. Johnson proved his genius. I am aware that many will say I have not spoken highly enough of Dr. Johnson; but it will be difficult for those who say so to speak more highly. If I have described his manners as they were, I have been careful to show his superiority to the common forms of common life. It is surely no dispraise to an oak that it does not bear jessamine; and he who should plant honeysuckle round Trajan's column would not be thought to adorn, but to disgrace it. When I have said that he was more a man of genius than of learning, I mean not to take from the one part of his character that which I willingly give to the other. 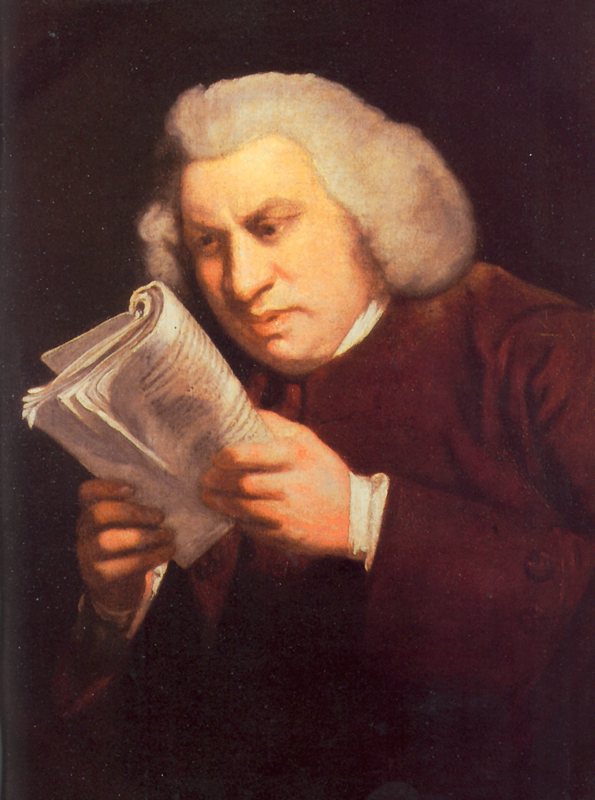 The erudition of Mr. Johnson proved his genius; for he had not acquired it by long or profound study: nor can I think those characters the greatest which have most learning driven into their heads, any more than I can persuade myself to consider the River Jenisca as superior to the Nile, because the first receives near seventy tributary streams in the course of its unmarked progress to the sea, while the great parent of African plenty, flowing from an almost invisible source, and unenriched by any extraneous waters, except eleven nameless rivers, pours his majestic torrent into the ocean by seven celebrated mouths.